Antique Gold Masonic Folding Knife | BUDK.com - Knives & Swords At The Lowest Prices! 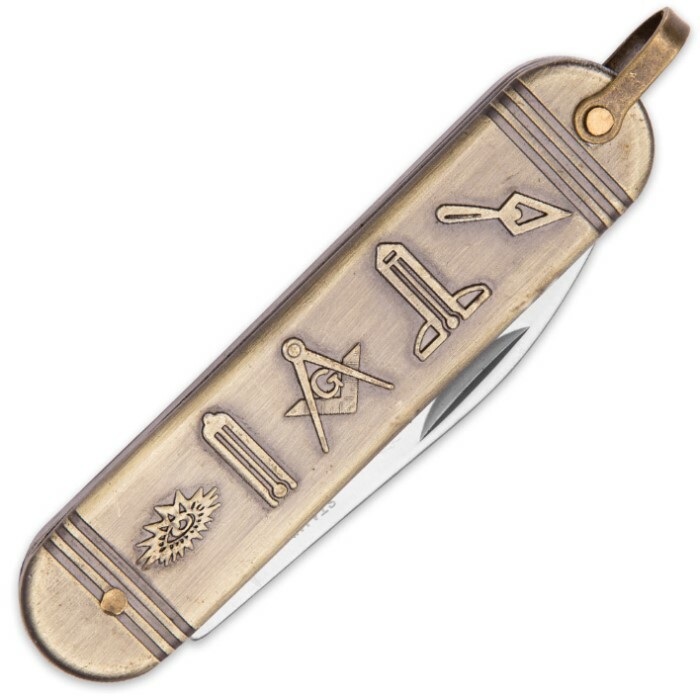 The Freemason in your life would love to have the Antique Gold Masonic Pocket Knife! 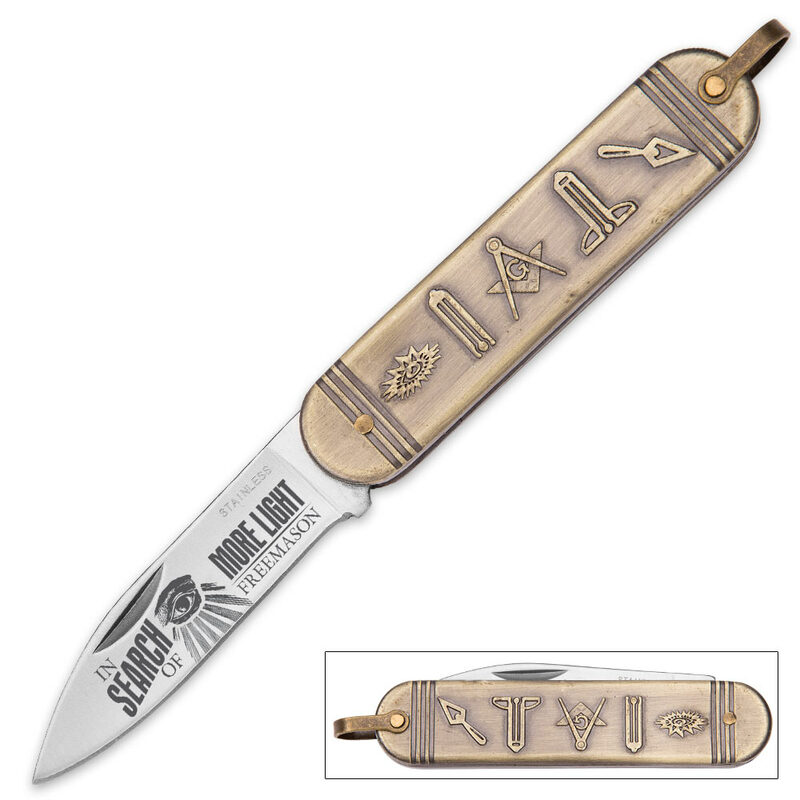 This is an incredible gift that features Masonic emblems embossed on an antique gold-colored handle. 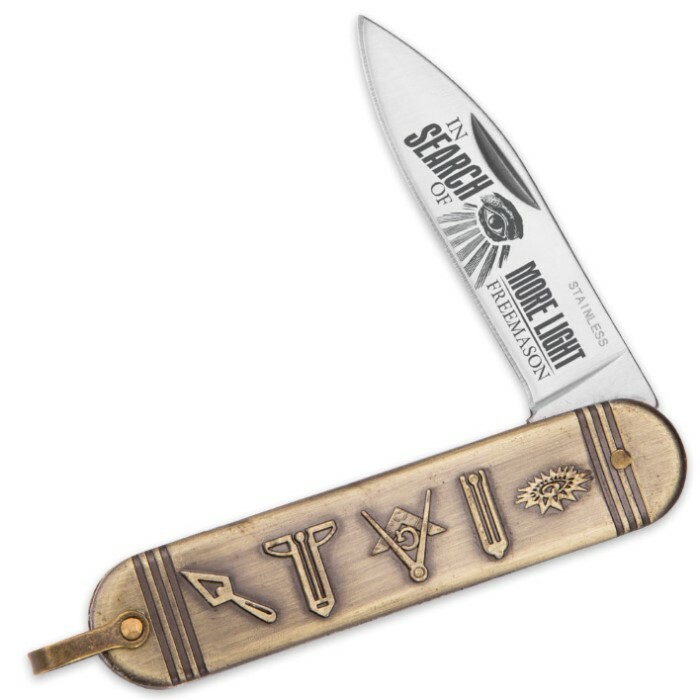 The stainless steel blade also bears Masonic-themed etchings and the knife is 6” in overall length.